Explanation: What do spiral galaxies look like sideways? Featured is a sharp telescopic view of a magnificent edge-on spiral galaxy NGC 3628, a puffy galactic disk divided by dark dust lanes. Of course, this deep galactic portrait puts some astronomers in mind of its popular moniker, The Hamburger Galaxy. 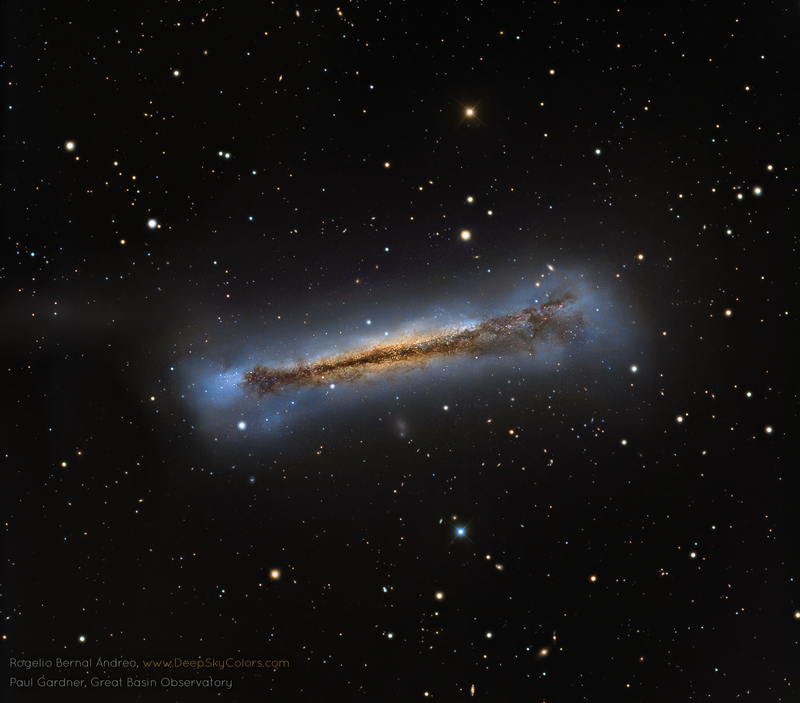 The tantalizing island universe is about 100,000 light-years across and 35 million light-years away in the northern springtime constellation Leo. NGC 3628 shares its neighborhood in the local Universe with two other large spirals M65 and M66 in a grouping otherwise known as the Leo Triplet. Gravitational interactions with its cosmic neighbors are likely responsible for the extended flare and warp of this spiral's disk.